Cuba is on the brink of a new era, what with the US announcing the rekindling of relations, and the island taking steps to open up its borders and provide its citizens with public internet access. 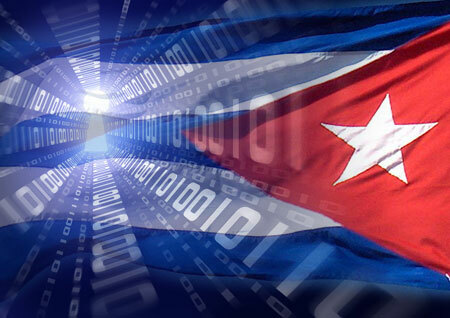 The country’s telecom and IT market remains one of the most underdeveloped in Latin America.The latest data from the International Telecommunication Union (ITU) places Cuba’s internet penetration at 25.7% as of 2013, according to a report from watchdog Freedom House. For one, the country must modernize its crumbling telecom infrastructure. Cuba began receiving internet service in 2013 through a connection with Jamaica via submarine cable. Etecsa, the country’s sole telecom provider, announced it would be launching Wi-Fi hotspots in 2015, and expanding public internet access centers in the country. It currently has 154, up from 118 in 2013. The company also began selling household internet on September 15, 2014. According to local daily Diario de Cuba, the firm charges 10 convertible pesos (US$10) per month for 20hrs of internet, while 50hrs cost 15 convertible pesos and 220hrs cost 60 convertible pesos. Additional hours cost 0.30 convertible pesos. Internet prices in Cuba have been criticized as being too high, as the average working class Cuban has a monthly salary of around US$20, according to the report. In March, the country began allowing citizens to have their e-mail connections accessible via mobile phones. By November, there were some 460,000 users of the service, the Freedom House report added. Etecsa has said it plans to make an additional 800,000 mobile lines available, bringing the total in the country to more than 3mn since Raúl Castro’s government lifted the ban on mobile lines in 2008. Cubans are now allowed to register to up to three mobile lines since November. Previously, each customer could register just one line. The US announced its intention to invest in the country’s web network, but the specifics remain unknown. The Cuban government continues to control the legal and institutional structures that determine who has access to the internet and how much access will be permitted. This regulation extends to the sale and distribution of internet-related equipment.